WELCOME to the finest bit of camping in New York's Seaway Valley! My name is Rose-Marie, who will be guiding you on this online tour of Jellybeans Riverside Campground. 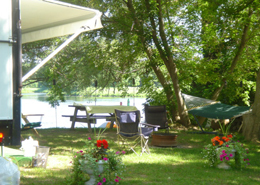 It's a real pleasure for me to introduce this wonderful riverside campground in northern New York state! 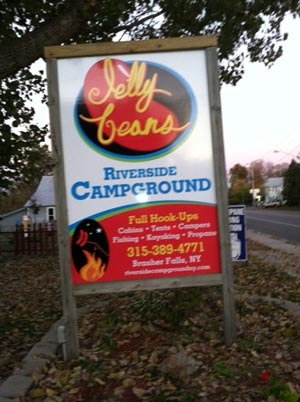 Jellybeans Riverside Campground is open from May 1 through October 30 for RV and tent camping. Riverside Campground offers 65 shady campsites, each with a picnic table, along the scenic, pristine waters of the St. Regis River. 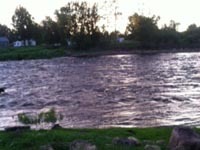 The sites accommodate RVs up to 40 feet long and each has a breathtaking river view. So you won't be cut out from the outside world, friends; you'll just be able to enjoy it from nature's peaceful setting. 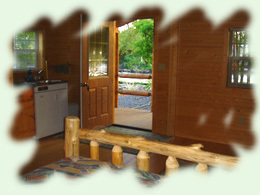 Riverside Campground is now proud to offer the convenience of cabin camping with three Hideaway single room log cabins . Each cabin includes a double bed, a set of bunk beds and a porch. One cabin sleeps two, the others sleep four, and they all have air conditioning. Jellybeans invites you to "The Clifton", our charming new log cabin overlooking the beautiful St.Regis River. Amenities include a full bath, efficiency kitchen, a log bed and only a few steps from River View Restaurant and The River Deck. Come and enjoy for a honeymoon or enchanting week or weekend. 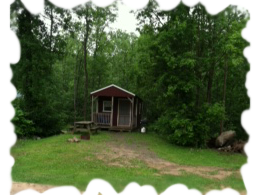 Beautiful Surroundings for Your New York Camping Getaway Activities! 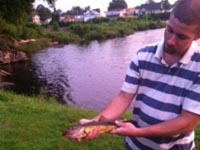 Fishing for Muskie, Walleye, Bass, Northern Pike and More! 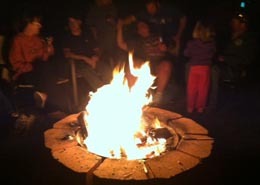 Great Onsite Camping Facilities and Amenities! Enjoy a piping hot meal and live entertainment on the weekends! A new River Deck has been added with weekend entertainment. 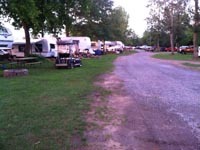 The campground's Recreation Center is used for potluck suppers, bingo and other camper gatherings. This fine facility offers a paper back library, a dart board, and a piano for a little indoor fun. 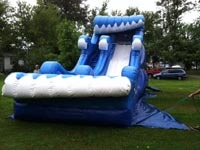 We've also added a 20' by 40' tent for rainy day events. The little ones will have hours of playtime fun at the sandbox! We now have added an ark to the playground as well! 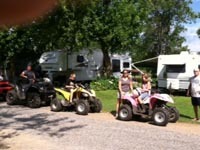 Close to Seaway Valley Area Highlights! 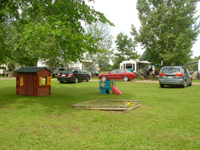 Riverside Campground is a short drive from a wide array of Seaway Valley area attractions and activities, including area colleges SUNY Potsdam, SUNY Canton, Clarkson University and St. Lawrence University. Copyright © 2005 - 2014 Riverside Campground. All rights reserved.